If you’ve been thinking about making your home more energy efficient but don’t know where to start, the Home Energy Checkup from LEAP is a really good and inexpensive way to have a professional check out your home and give you great advice. We just did our house and I had a lot of fun. Our coach was a wealth of knowledge and really friendly; he even insulated some of the pipes in our house free of charge. Overall it was a great experience and helped prioritize projects that will have the greatest effect for the least amount of money. Highly recommended. Thanks to google sky map, everyone now knows that smartphones and tablets have all the sensors that one would need to make one of these charts digitally, plus a camera. 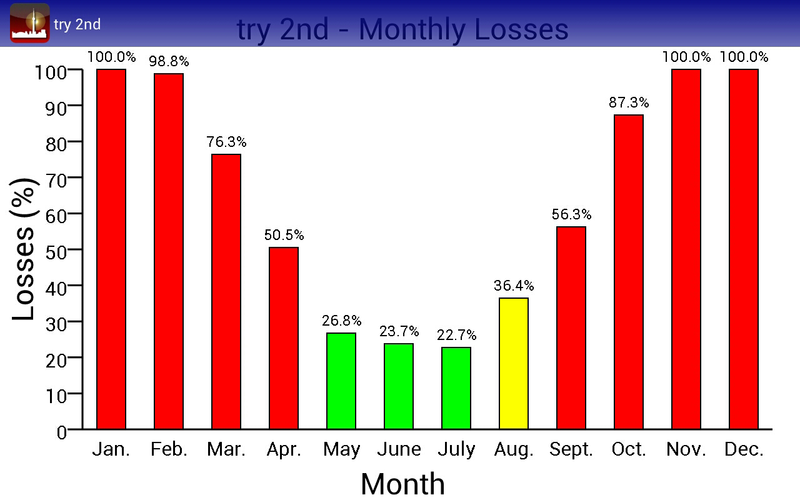 The burning question is which app works the best and how do you make a chart with this technology? We pitted a few against each other using the same android smart phone hardware and here are the results. There is also a guide for creating this chart using some of the apps mentioned below. 1. 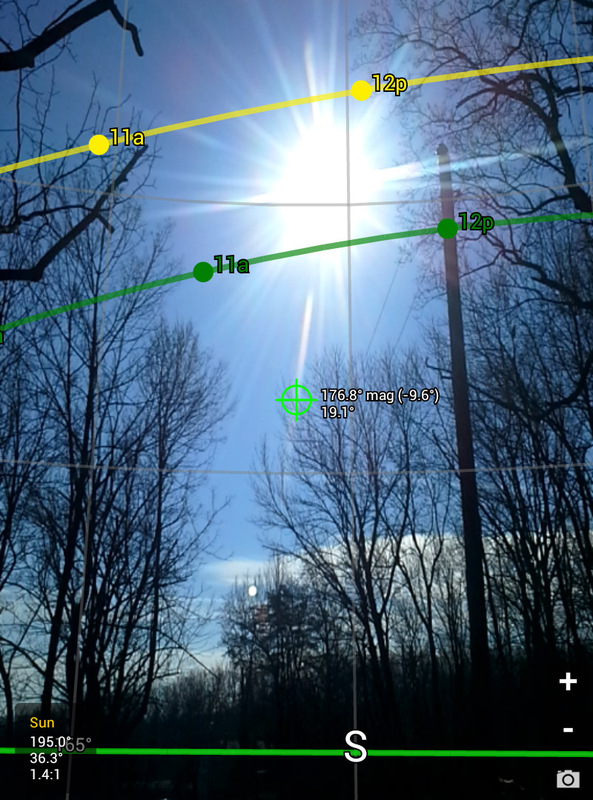 Solar Shading: For the purpose of making a site solar survey chart, Solar Shading is by far the most capable app for android, which makes sense because it is the only one specifically designed to make this chart. The interface is a bit harder to get used to than the other apps, but it is by far the most powerful. 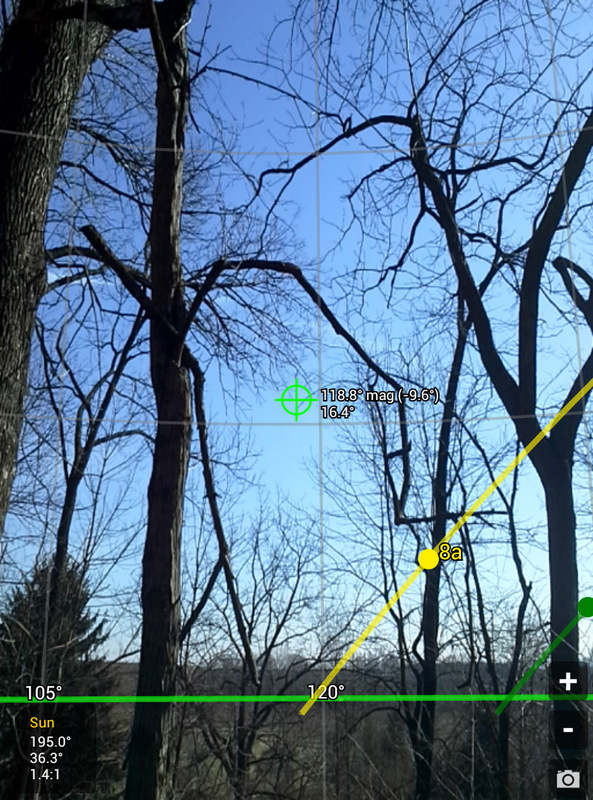 You trace the obstructions to the sun either using the crosshairs with the camera or looking down the edge of the phone/tablet. 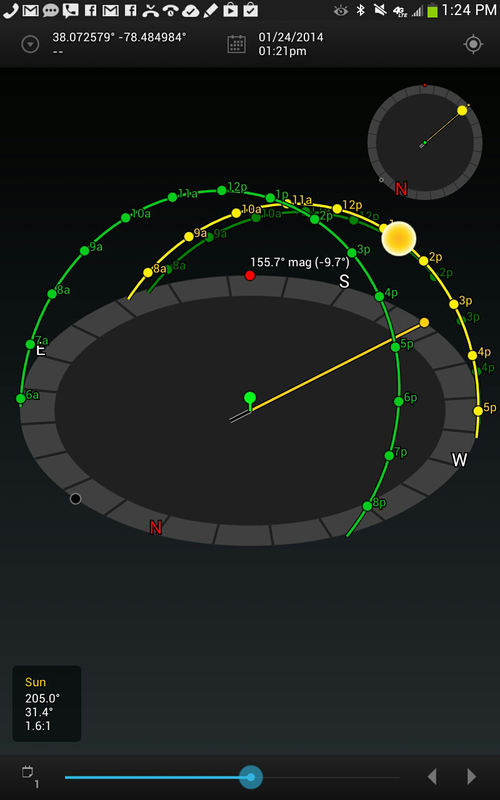 Once you’ve completed tracing the horizon for a complete circle, the app generates the solar chart as well as two graphs showing the solar power generated and the penalty that the obstructions are causing during each month of the year. 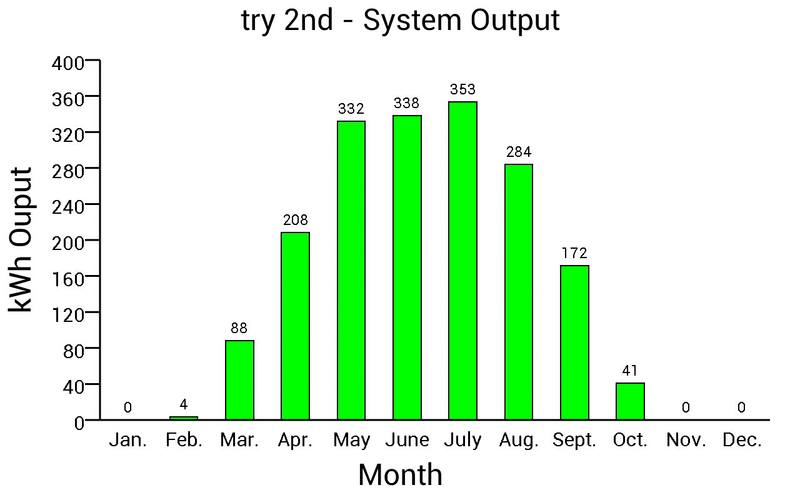 This app is easily the fastest way to accomplish the task and provides great looking reports, so it can be done at several locations on a site to find the optimal location on a site for a solar collector or a passive solar house. The only downside is the $16 price tag. 2. 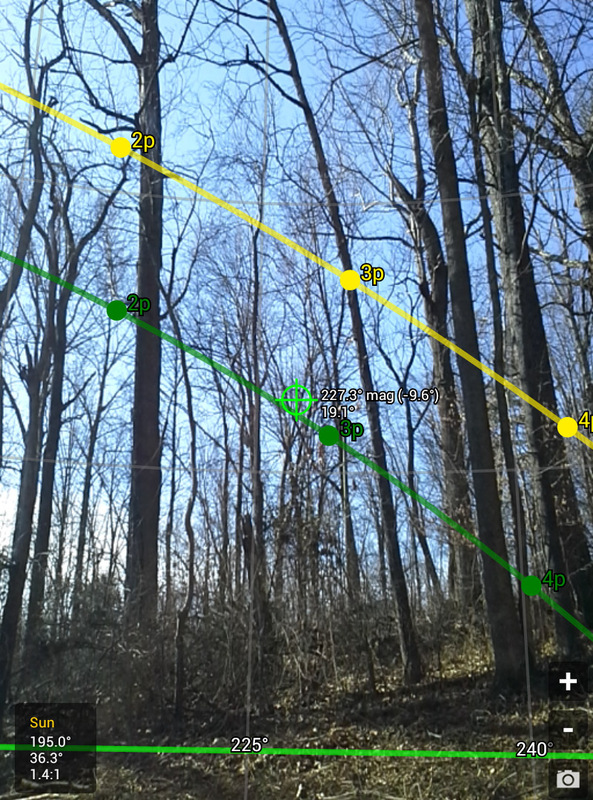 Sun Surveyor: This is an “augmented reality” application that displays sun paths and/or moon paths on the camera preview. This is the smoothest, most polished, and most feature rich of this type of app that was tested. 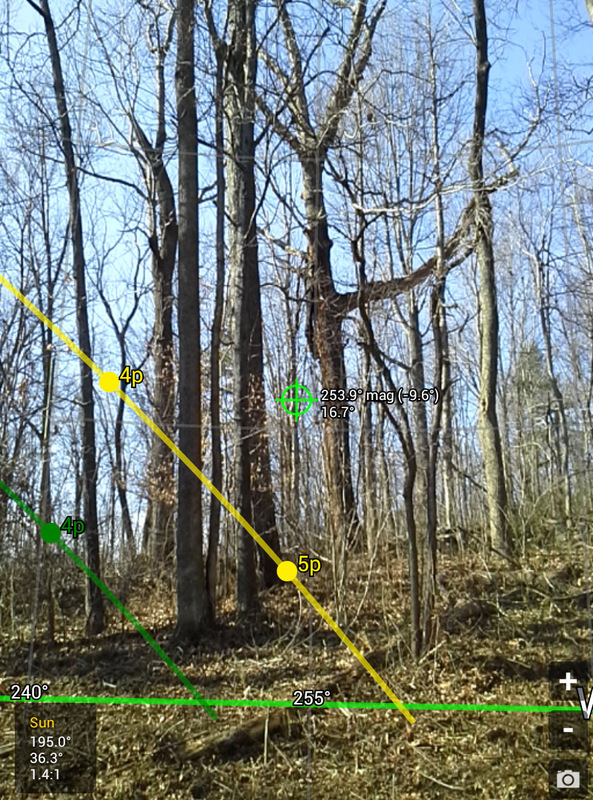 The 3D compass, compass calibrator, and map view are nice additions to your smartphone toolkit. 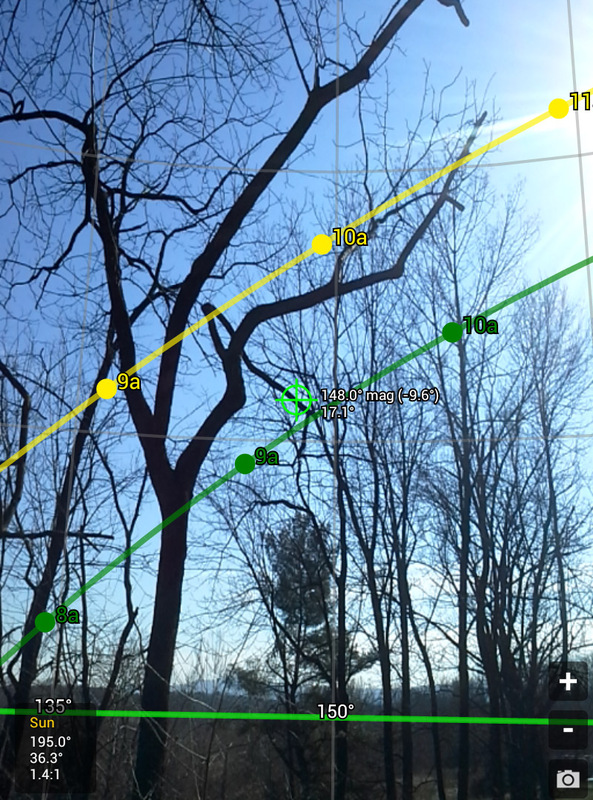 The augmented reality view shows any sun or moon path that you would like to display, as well as degree grid lines, which are very helpful in building a solar chart back at a computer using the images captured with this application. 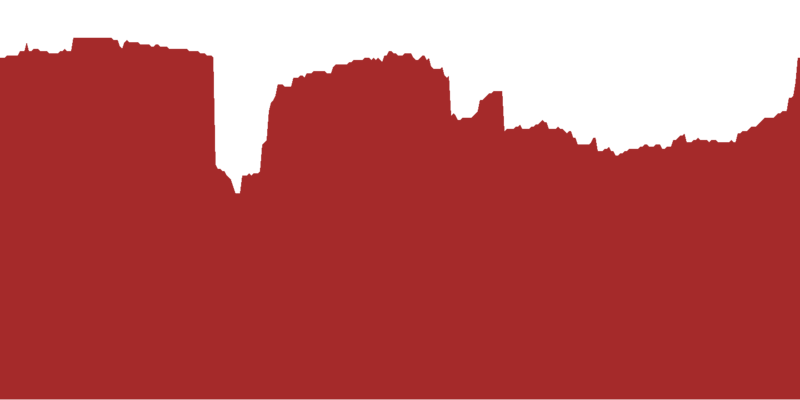 These images can then be taken back to a computer and obstructions plotted onto a chart if needed. 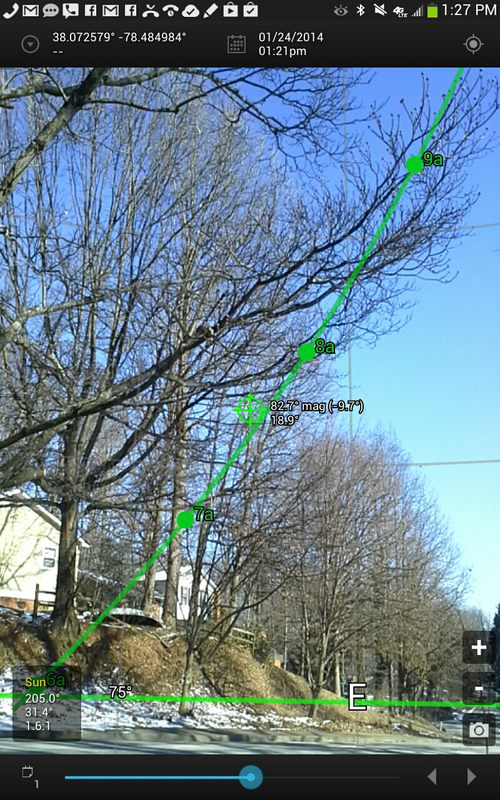 This is a nice companion to the Solar Shading app to have pictures for later reference that are geographically referenced. This app carries a $6.49 price tag. 3. 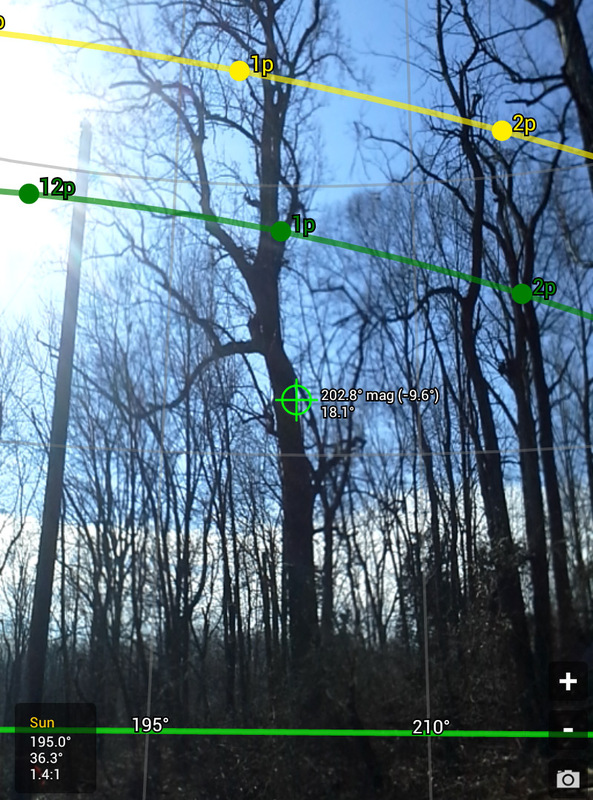 SunPlan: A little Less polished than Sun Surveyor, the augmented reality view works almost identical to it. 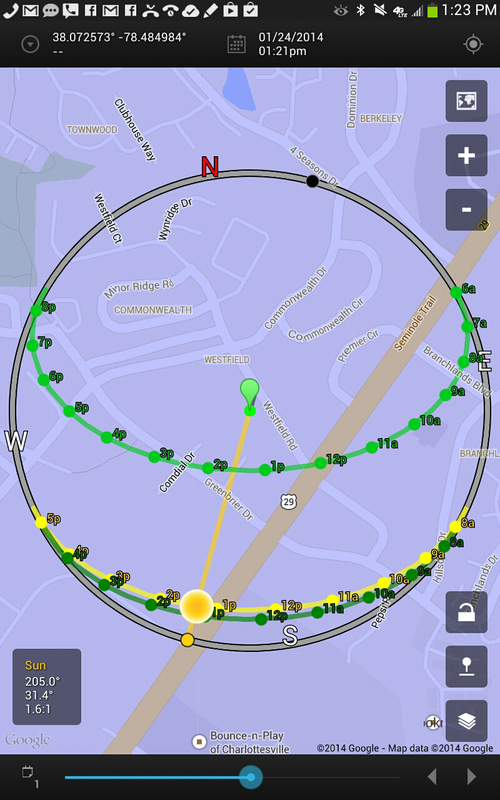 Sunplan doesn’t have the 3D compass, Map view or moon information, but it has a shadow compass. At $3.99, it’s a little easier on the wallet if you don’t need the vast array of sun and moon data. 4. 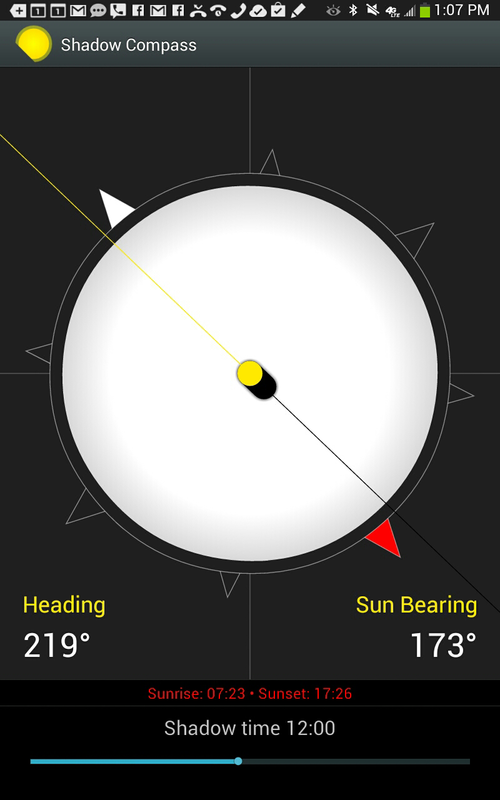 Helioserver: Works similar to the solar shading app, but the interface is confusing and not very polished. 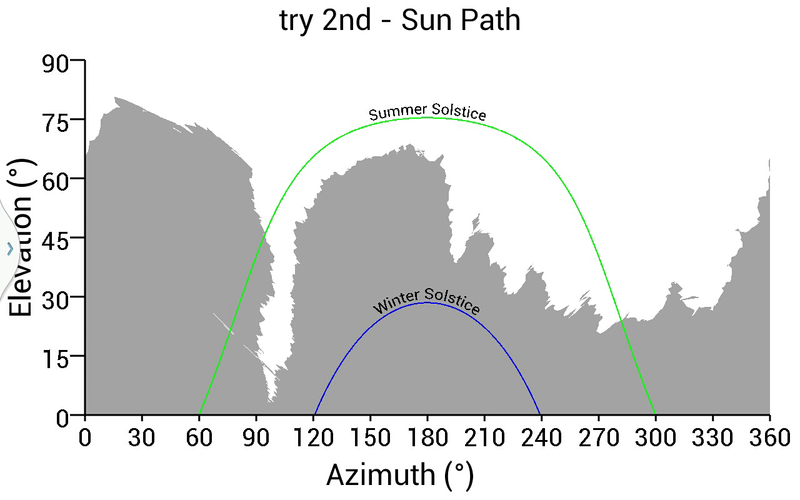 It probably does a lot of heavy lifting in the background, but only gives you an output of what direction to point solar panels; I wasn’t able to accurately come up with reference points from the output to plot the data onto a chart. I couldn’t figure it out, not to say it can’t be done.If it works for you, the $1.33 price tag is certainly the cheapest. Conclusion: After actually doing a few surveys with all of the software, I personally choose to use the Solar Shading app to do the heavy lifting. Its professional looking output can be imported directly into Photoshop and excel. 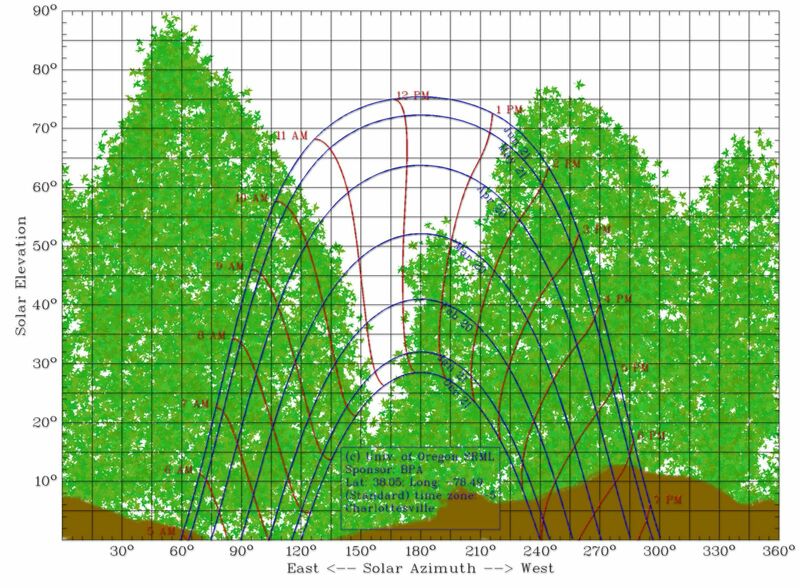 It collects real data in a couple of minutes so that several locations can be investigated to find the optimal solar site location in a short amount of time. 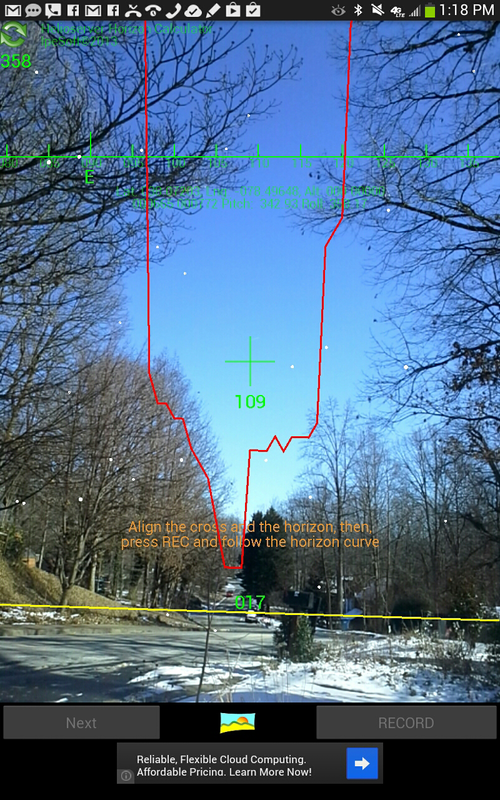 I also use Sun Surveyor and SunPlan to get a good panorama of the site for reference further down in design. They are both very similar, so use Google Play’s 15 minute refund policy to try them both out before you decide which one you prefer. The more research you do into renewable resources, the more you realize that matching demand for power to the renewable supply is the trickiest part. 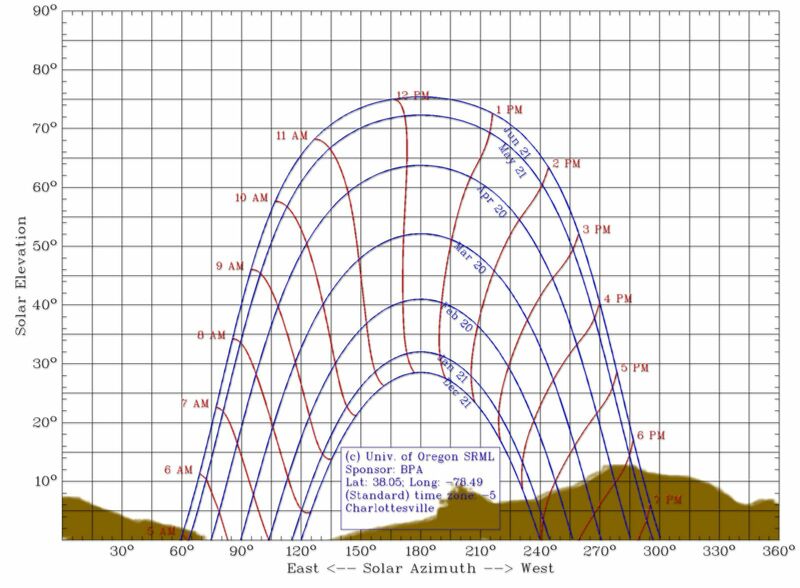 According to this study, for people that are away at work in the middle of the day, it makes more sense to point solar panels south-west instead of directly south. Makes sense right? Well, yes and no. If you aren’t attached to the grid, or your power company doesn’t allow net-metering and you work all day then yes, this makes perfect sense, why not make the power when you’re using it. If you have net-metering from your power company, why not produce the most power and use the grid as your battery; then due south is still the way to go. Now you can build your own vertical wind turbine from parts found at the hardware store and online. Applied-Sciences.net has given all of us open source plans for a DIY vertical wind turbine! Next time that a big storm hits your town and knocks out the electrical grid, don’t think about how nice it would be to have a gas guzzling, smelly generator to run you fish tank and lava lamps. Think instead of a biomass generator. This interesting technology has seen some advancements that have made biomass power generation a hands-off operation that users expect from their emergency equipment. Of course, the technology can be used for all sorts of power needs. All Power Labs is a company leading the way in developing this clever technology; they have an interesting past and a bright, progressive future. The generator first converts woody biomass (like wood chips, acorns, corn husks, etc.) to a gas; this is certainly the most complected step which this guide explains much better than I can. An engine is then used to burn that gas to produce mechanical or electrical power.